Important dates - Please take note of these dates before scheduling appointments. Vanessa Tamayo in the Statesman! 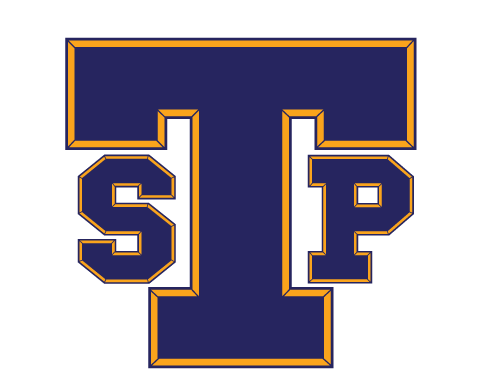 Stony Point Proud!! Please click here to read about Vanessa who was picked by the Austin American Statesman as the Faces off the Field. Check out the article! Click here to enjoy the hard work of our Broadcast students. 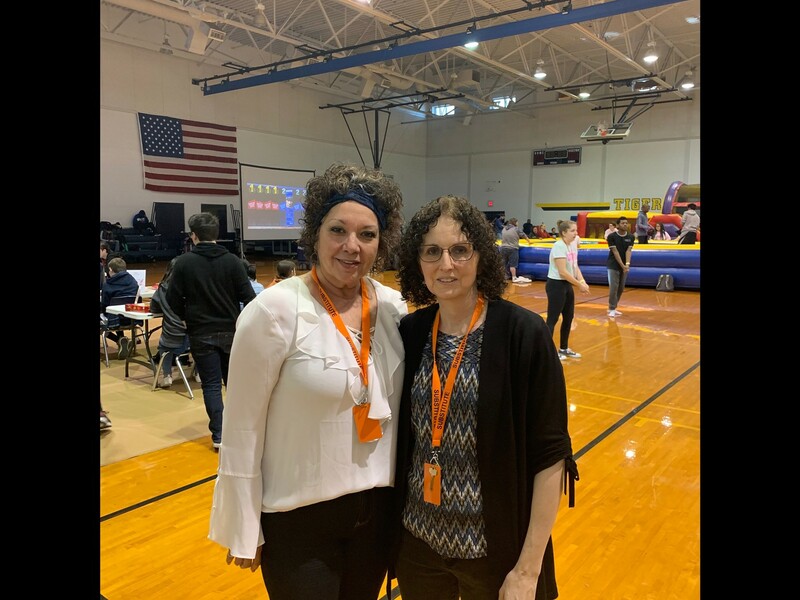 Annual Spring P.O.I.N.T Celebration was a success! 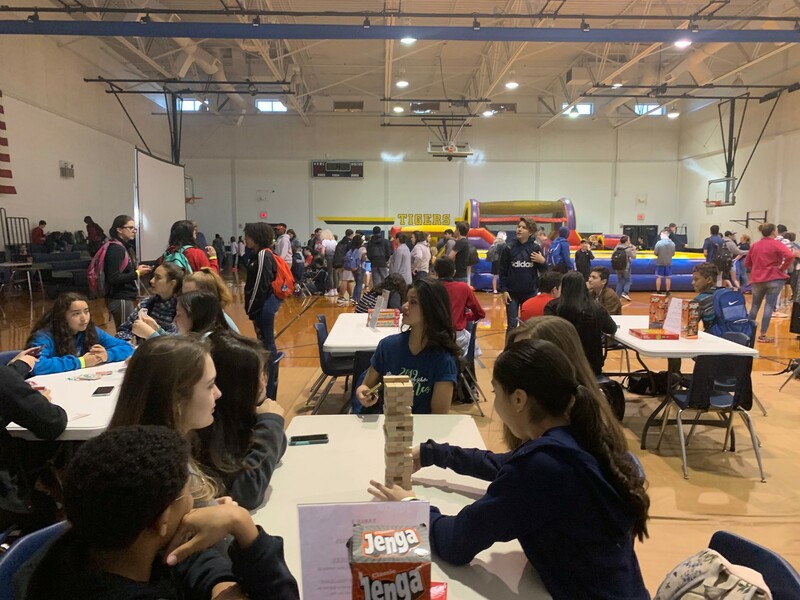 Kicked off spring break celebrating our Tigers that get the P.O.I.N.T! This annual event allows teachers to nominate students who display perseverance, ownership, intellectual capacity, nobility and/or teamwork. Students were able to participate in a variety of fun activities during a class period. We are proud of our Tigers! 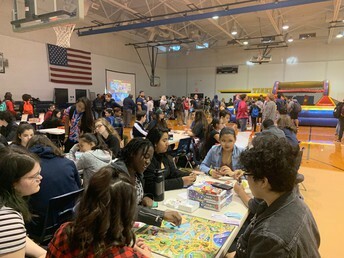 Thank you to our wonderful staff and AVID students that helped make this annual event a success! Shout out to Mrs. Gammage, Mrs. Rosow, Mr. Sanchez, Mr. McCallum, Mrs. Herman (Lead Custodian and her wonderful team) and Mr. Molina (Lead Maintenance). We appreciate you! Our wonderful subs helped monitor student stations! Thank you Esther Lugo and Gina Shipp! Food deliveries of any kind are NOT permitted. Grub Hub, Uber Eats, etc. will be turned away. We are a closed campus. For the safety of our students, delivery drivers are not permitted contact with them at side doors or portable buildings. If an authorized adult on your student's list wants to bring them food, they may meet in the front office during your student's scheduled lunch time or during passing period. Money can be added to your students lunch account by accessing www.myschoolbucks.com Thank you for your continued understanding and support! Another option for prom dresses! Care Clawset will be hosting Formal Friday on 3/29 all day in the Mall area. If you need clothes, shoes or hygiene products for an interview or special event stop by. 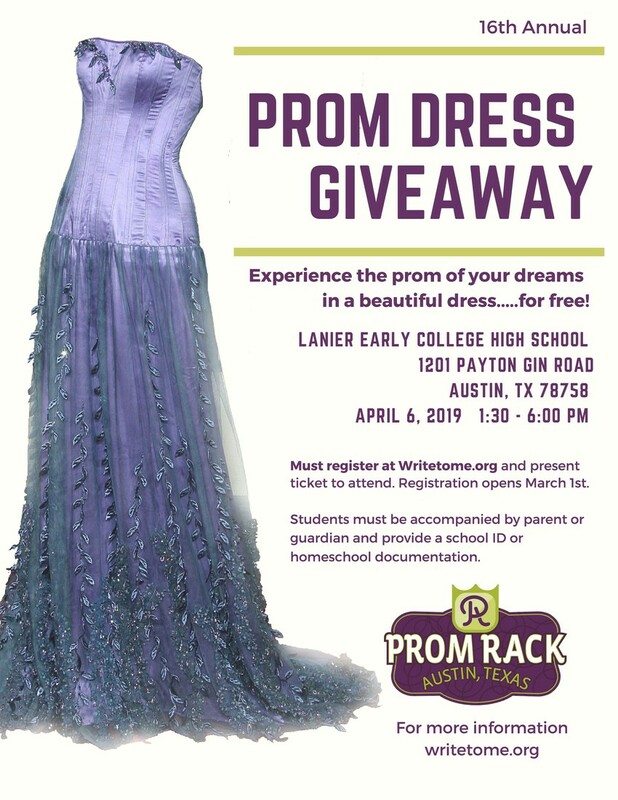 Free Prom Dresses will be out as well you must have your school ID to take a Prom dress as these are reserved for Juniors and Seniors going to prom. If your student failed the six weeks in a certain course, they have the opportunity to recover the grade. Click on the link below to learn more about the Tigers on Time program and to get the Registration form. Thank you! If you are picking up your student from school, here's the 411 to make your life easier! Car traffic is not allowed while the buses are out front. Pick up before 3:55 pm. ONLY those individuals listed on your student's file, with photo ID, will be permitted to sign them out of school. Phone calls and email requests will not be accepted. Prepare now by coming in person with photo ID to add authorized adults to pick up your student. 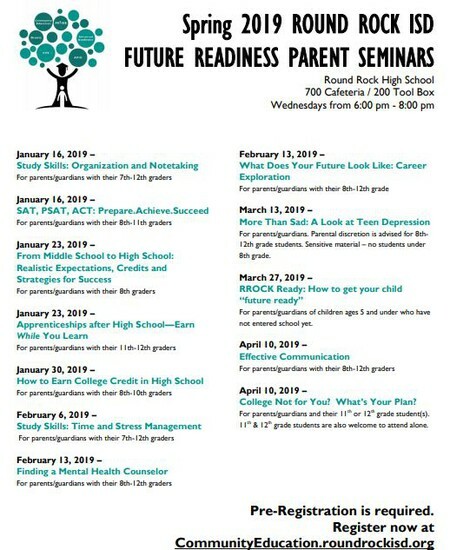 See Mrs. Arzola or Mrs. Gamboa to add authorized adults. If your student is driving, then still send a note but be specific in stating that you give them "permission to drive themselves off campus". List your phone number so that we can call you to verify. Have them come by the office before school for a pass. Girlswhocode.com - check it out! 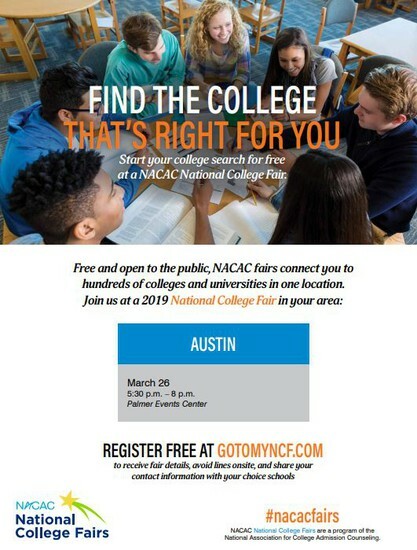 Tomorrow the Austin National College Fair will be at the Palmer Event Center from 5:30 - 8 PM. You may now place orders for all grade levels. GPA and Ranks are completed for 10th, 11th & 12th grades. 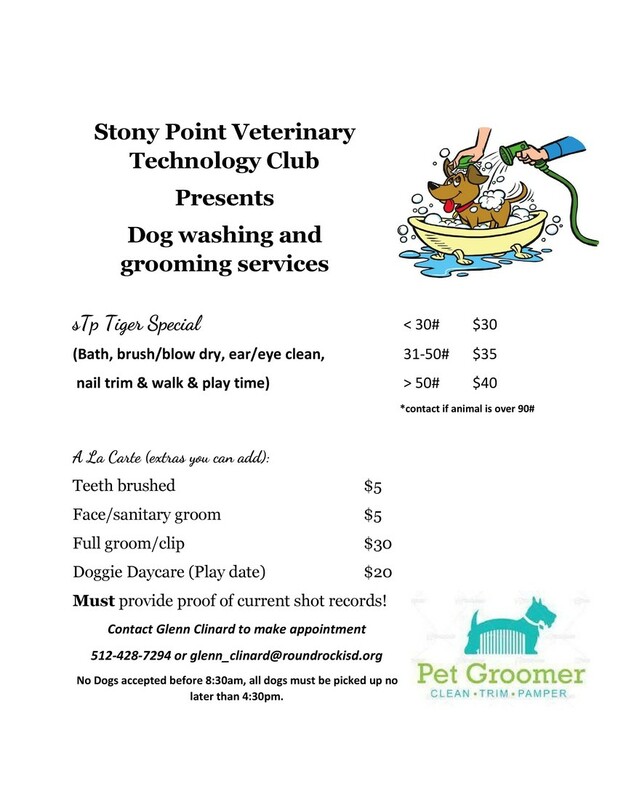 3.00 per transcript w/ a 3 business day turnaround for processing (not including the day they are ordered). Cash or check please. This isn’t your typical scholarship program. It doesn’t require an essay or an application, and it doesn’t have a minimum GPA or SAT score requirement. See website for more information! College Board Opportunity Scholarships are microscholarships that high school students can earn by taking steps on their path to college. Be the first to know when the program launches later in 2018.